I know where I live it has been really cold lately. Earlier this week it was 3 degrees. 3! That is not typical for here. While I'm writing this it's 57 degrees outside. Nice change of pace yes? I'm not a fan of hot weather but 3 degrees is a little hard to take. I've been planning to make this ice cream for a few weeks even though it has been so cold outside. As long as it's warm inside then there's no reason not to eat ice cream. This month I was assigned to Cheap Ethnic Eatz. Evelyne is the author and she has a wonderful blog that has no many ideas and recipes I never even dreamed of making. Now I have several of them bookmarked to make them in the future. If you would like to learn more about her and her blogging journey you can click here. 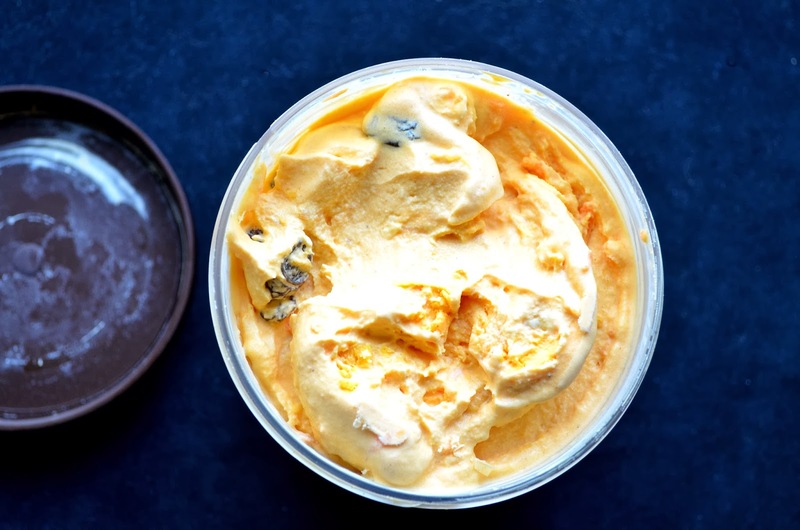 She came up with this recipe for Carrot Cake Ice Cream to use with Arthur's Smoothies (which sound delicious). But I don't have access to those, so I used Bolthouse Farms 100% Carrot Juice instead. I hadn't tried their juices before but they're really good. I will be using them again in more recipes. I made the Carrot Cake Ice Cream recipe almost exactly like hers with the exception of two ingredients which I have listed in parenthesis in the ingredients list. I replaced the shredded coconut with the grated cream cheese because sadly I don't like coconut. Feel free to use it though in your batch because I'm sure it would be delicious. I feel like the cream cheese adds a nice flavor to the ice cream as well since cream cheese is typically on carrot cake. When you make ice cream make sure that there is a fair amount of fat in the cream (such as the 10% that she lists in the ingredients) because if you try to use something such as 1% milk then the ice cream will not be a smooth and creamy. I just wanted to mention that in case someone was thinking about the substitution. I hope you all love this ice cream as much as I do and thank you to Evelyne for such a great recipe! 1. In a medium bowl whisk together the carrot juice and cream. Add the sugar, vanilla, and lemon juice and whisk until smooth. Stir in the remaining ingredients. 2. 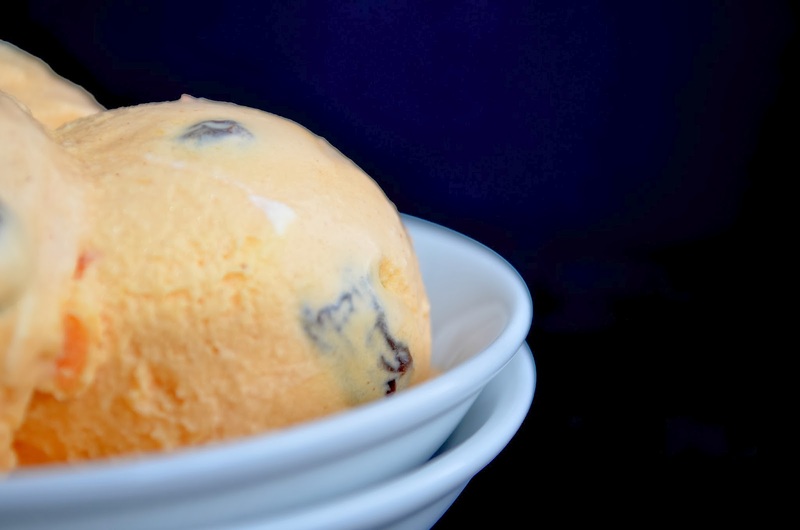 Pour the mixture into an ice cream maker and freeze according to manufacturer’s directions. *To make grated cream cheese, freeze a block of cream cheese for at least 2 hours (or until hard). Grate the cream cheese on a standard grater and use immediately.